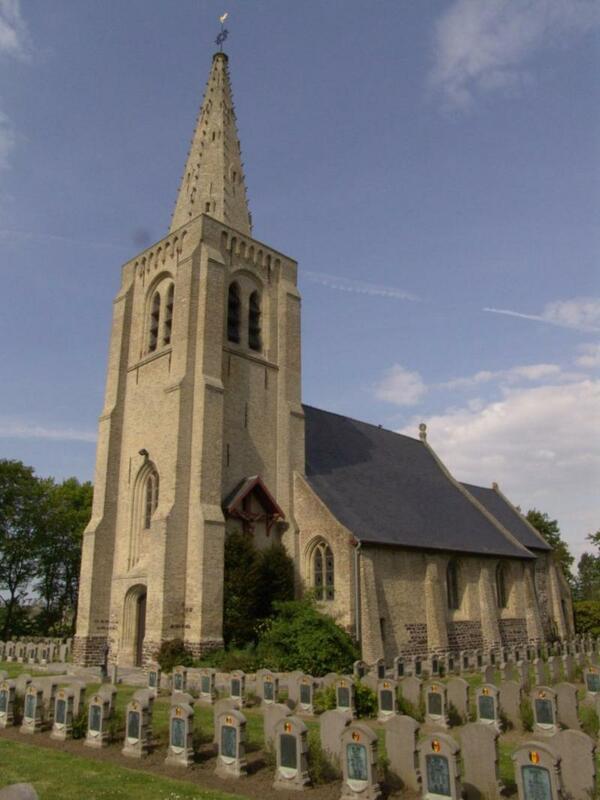 During WWI this military cemetery was found around the church in Oeren. 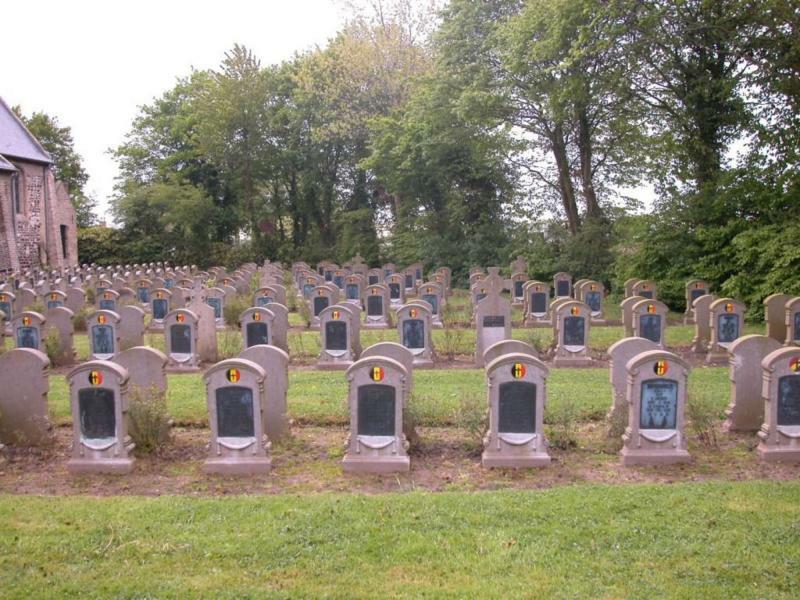 508 Belgian soldiers lie buried here, many of whom are unknown. 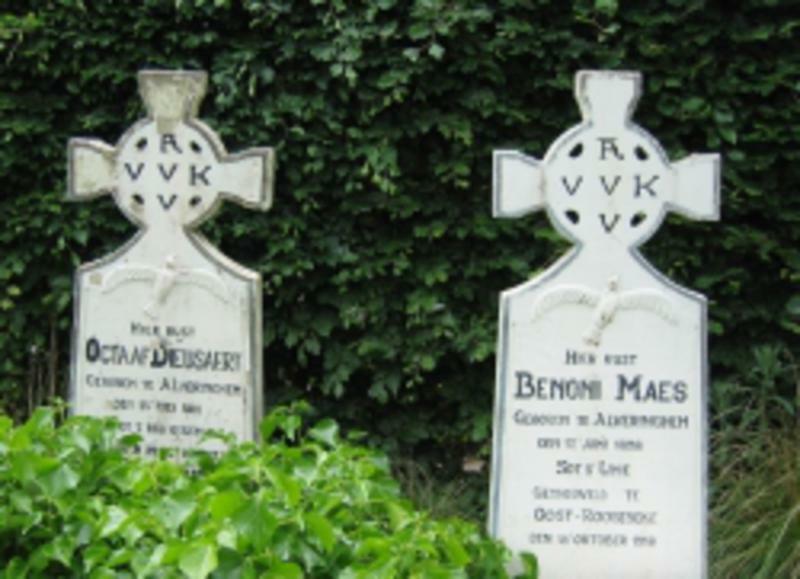 A lot of Flemish 'fallen hero' crosses used to mark the graves. Today only 5 of those crosses can still be seen.